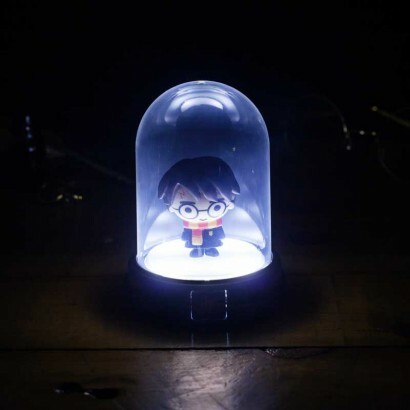 The "Boy Who Lived" stands by your side night after night shining with magical light in this mini bell jar. 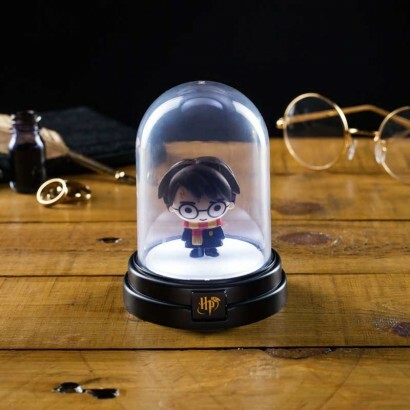 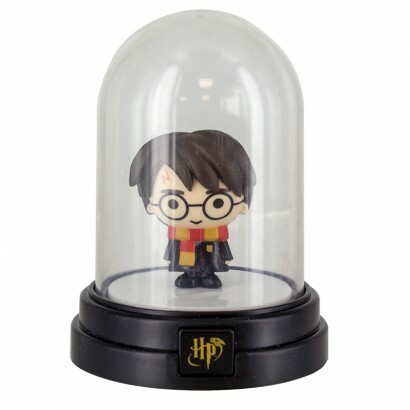 A cute mini Harry Potter wrapped up in his Gryffindor scarf is illuminated from the base of the jar saying Lumos! 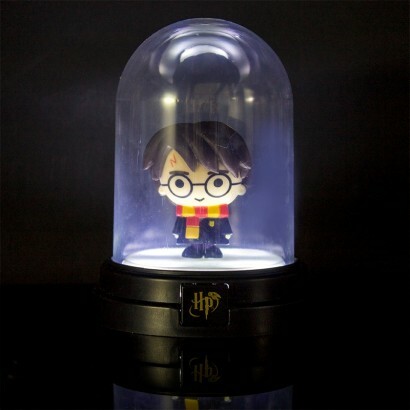 to the dark making a sweet desk or bedside lamp. 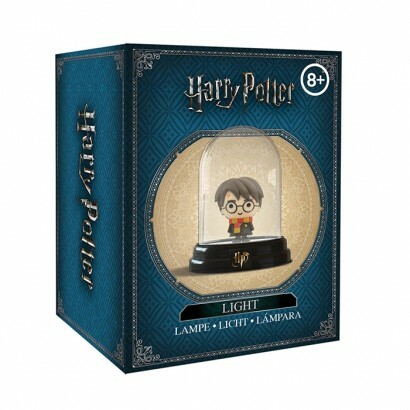 Battery operated, this mini light is a must for fans of the Wizarding World adding enchantment to your home in typical Harry Potter style.